Place milk in a microwave safe bowl. Heat for 2 minutes or until hot. Stir in hot cocoa mix until dissolved. Pour into two temp-tations® 16 ounce Café Mugs. 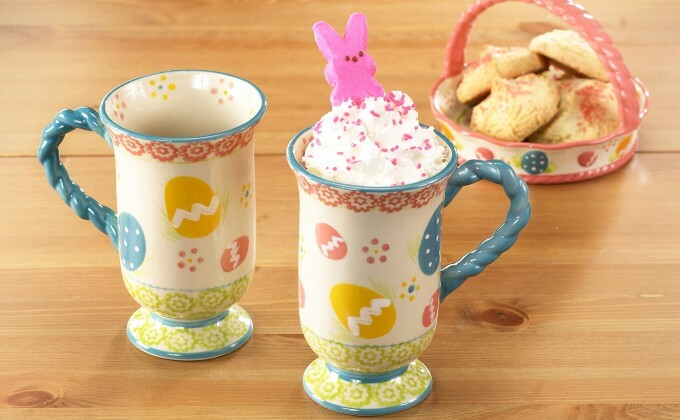 Top each mug with whipped cream, pink sprinkles and one Peep. Serve immediately.